MuseMeDaily: What About Your Hair. Did you forget about your natural hair underneath of your beautiful weave? These things happen.. Personally, I know when you get a fresh weave in you forget to take care of your natural hair at home. When I do decide to put in a weave for a few months I just let my hair stylist be in charge of my sew in hair. Well God Bless the hair gurus because a hair line product that is finally dedicated to the under-weave care. While on our favorite website Xo Vain, I’ve find a great article about a new product. Under Hair Care is a new line that works exactly like its name suggests: it nourishes and treats both natural and relaxed hair for those wearing sew-ins, braids, twists, and wigs. Consisting of fortifying shampoo, moisturizing leave-in conditioner, and a protective restoring balm, the products aim to maximize growth, maintain moisture, and strengthen hair follicles. 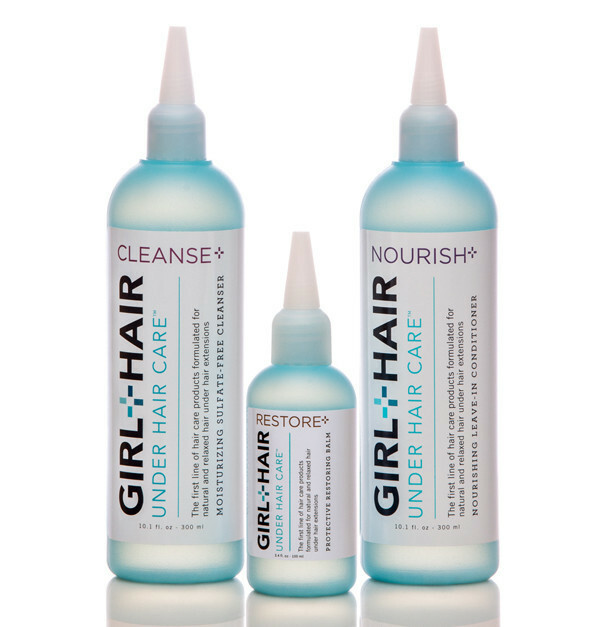 The process is three-fold: cleanse (shampoo), nourish (conditioner), and restore (balm). The most obvious pro is the nozzle-style applicator, so you can really get underneath those extensions and treat the scalp. While both the shampoo ($17, 10 ounces) and conditioner ($18, 10 ounces) are sulfate-free, paraben-free, and alcohol-free, all three items contain botanical oils for optimum hair health. The shampoo has a gentle but concentrated formula of shea butter (for moisture) and tea tree oil (for itchy, dry scalp). The conditioner is a leave-in formula of cocoa butter (hair shaft protection) and neem oil (for a healthy scalp). For daily use, the balm, aka "restore" ($20, 4 ounces), product is a non-greasy blend of abyssinian, (moisture retention), castor (growth and thickness), olive (anti-fungal properties), and shea (conditioning) oils. 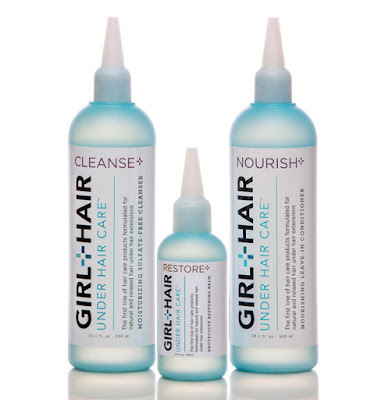 I personally have been using these products for a few months and have love how it makes my scalp feel and have seen a huge difference on how my natural hair looks after I take my extensions out. Please try this product! It is finally time someone thought about our natural hair under our weave! Check them out here! Girl + Hair. Fashion Class 101: Kim K Edition. So your bag now speaks for you. Aziz Teaches us about love. Yes We have a date.